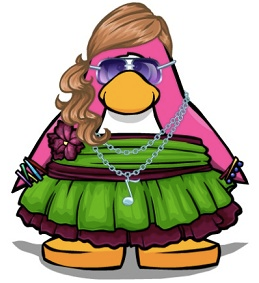 This Club Penguin's LAST Featured Fashions of 2012. 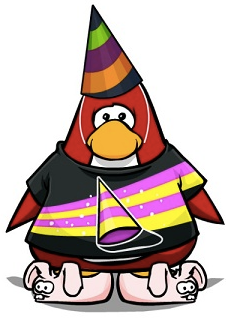 And so, Cp thought they would share an extra PARTY special theme! 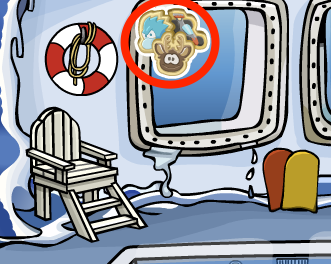 So they have been on the lookout for penguins dressed in New Year with some swag! What kind of things are you looking forward too for this new year? 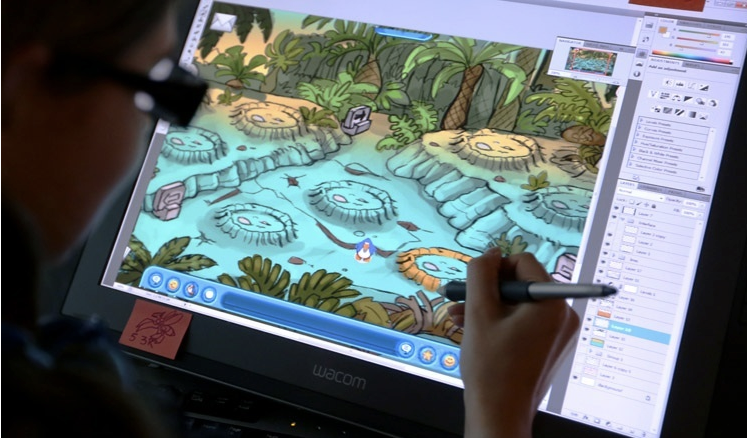 Here's a sneak peek for what's coming up on Club Penguin in January! What do you think this is about!? I, of course, think this rocks! 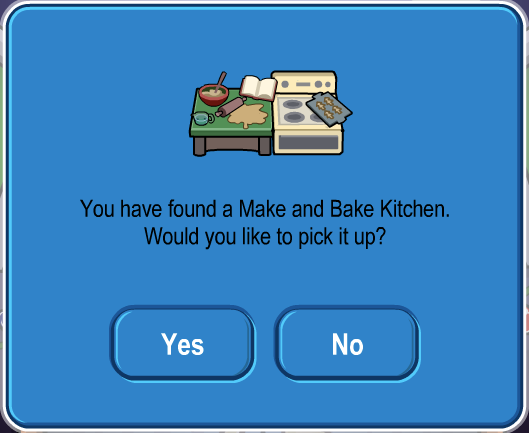 I surely would have asked for a cookie! Naturally, right? But the real question is, who gave him the socks? My guess is Aunt Arctic. Who is your guess? Step 1. 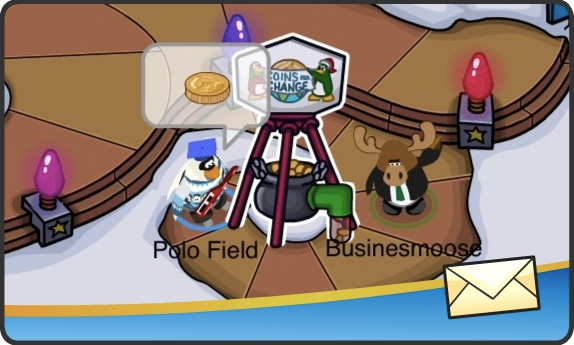 Click your map and click the Plaza. Step 2. Now go to the pool. 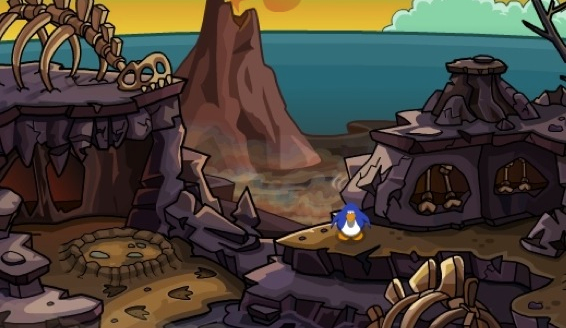 Club Penguin Times #375 is here! Happy Holidays from all of our Cp friends! The pirat's way is to make every year better than the last! RH Q&A's! Check it out! Not really a secret. But nice poem Rookie! This party has been pretty cool, yeah? Coins for change! 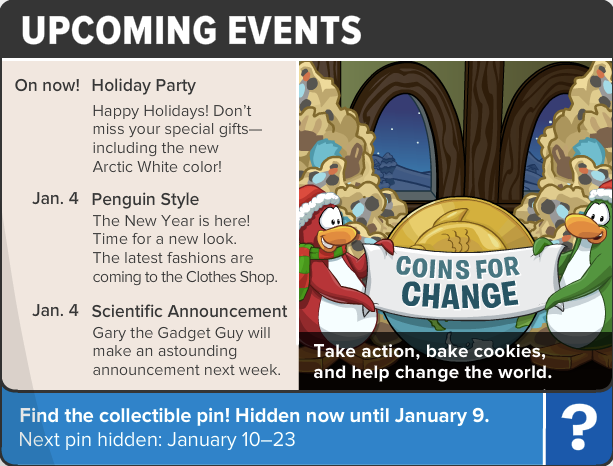 I hope everybody that has 10,000 or more coins will give it to coins for change!! 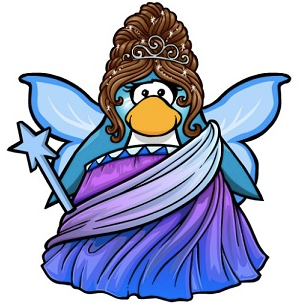 I am looking forward to changing into a Frost Bite!!! 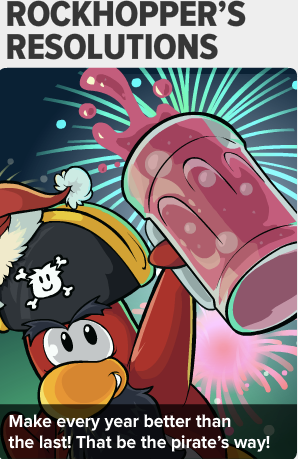 Cannot wait till RockHopper comes!! 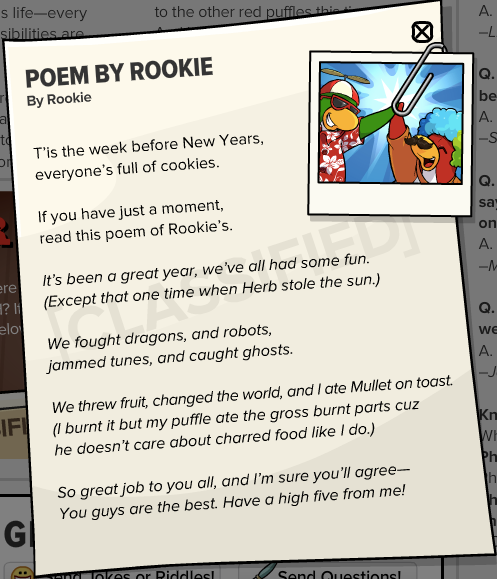 Leave Cp your comment and they'll feature one in their next Reviewed By You. 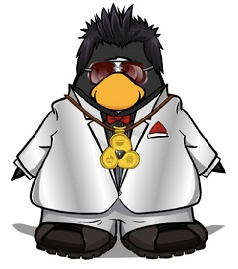 The featured penguin will also receive 10,000 coins! Club Penguin FREE party gifts for today, December 25th! IT'S CHRISTMAS! 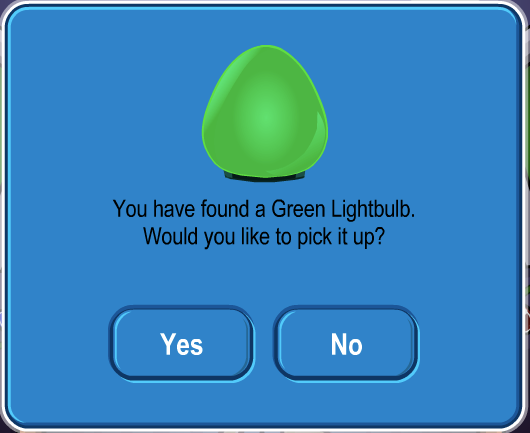 Pick up you free non members NEW color! 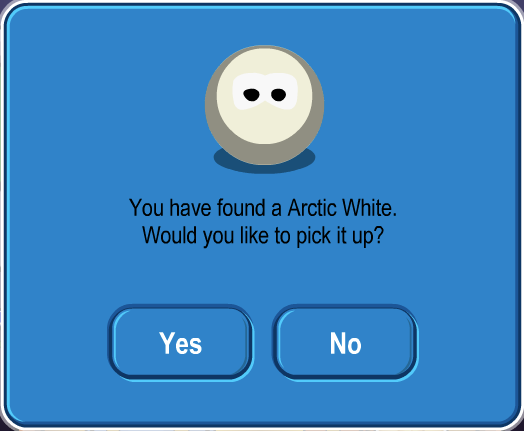 ARTIC WHITE! Whoop! 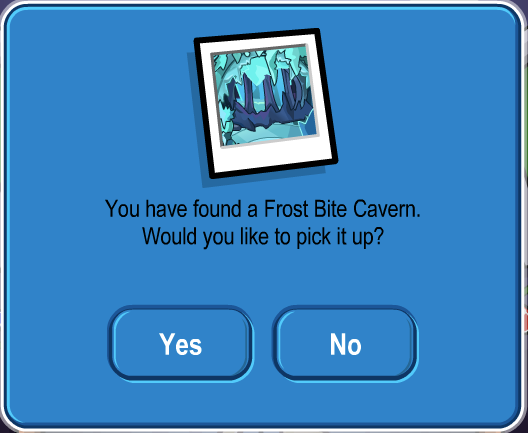 And if you are a member you can get this Frost Bite Palace! This is what it looks like. Awesome? AWESOME! 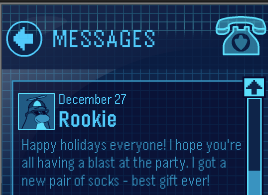 Those are the last gifts for this party. What do you think of these gifts this year!? Did Cp cheap us out again? 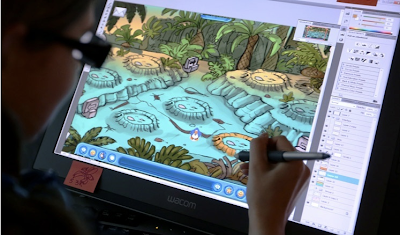 Club Penguin Christmas Party FREE Gifts: Dec. 24th! 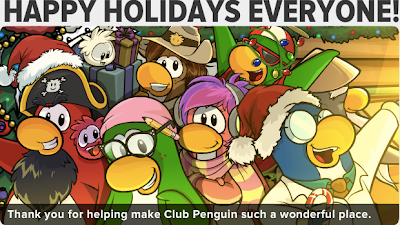 Club Penguin FREE party gifts for today, December 24th! 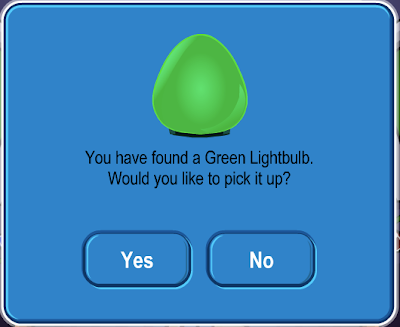 Pick up you free non members Green Lightbulb! 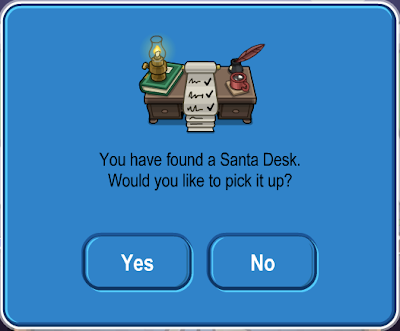 And if you are a member you can get this Santa Desk! Check back tomorrow for the last and final gift! Club Penguin FREE party gifts for today, December 23rd! Pick up you free non members Frost Bite Cavern background! And if you are a member you can get this Make and Bake Kitchen! Check back tomorrow for more gifts!